Now your pup can nourish his (or her) joints in a fantastic, extra-snackable way! 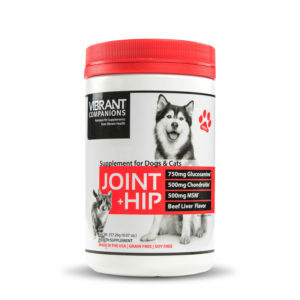 Joint + Hip is loved by pets and pet owners alike for its healing properties (and beef liver flavor). These biscuits take it to the next level. Combine the Joint + Hip, flour, oats and flaxseed in a medium bowl. Add in ½ cup of the beef broth and all of the peanut butter. Mix thoroughly, adding additional beef broth if necessary to bring the mixture together to a thick dough. Form into a ball and turn out on a lightly floured surface. Using a rolling pin, roll out dough to about ¼ inch thickness. Cut out to your favorite, fun shape. Bake for 20 minutes or until golden brown. Flip halfway through baking. Make sure they’re completely cool before offering one to your pup. They keep in an airtight container for about one week. One Response to "Joint + Hip Biscuits"
I’m impressed! Very useful information specifically the last part 🙂 I care for such info much. Hematologic side effects including leukocytosis and generic version of flomax petechial rash have been..